Brown KSDP has created a new pan-European visual identity and packaging design for Andrex as the UK’s biggest selling toilet tissue fights off competition from Procter and Gamble’s multi-million pound launch Charmin. 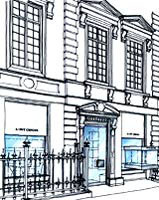 Brown KSDP was appointed following a five-way, unpaid creative pitch against unnamed consultancies. According to Kimberley-Clark marketing manager Sarah Clarke, the redesign responds to increased competition in the marketplace. P&G’s Charmin toilet paper brand entered the market in autumn 1999, backed by a £20m marketing budget and P&G’s considerable influence with the retail trade. The new identity incorporates the Andrex puppy for the first time and aims to more closely reflect the brand’s core values of softness and strength. The packaging aims to further convey Andrex’s “soft” values with the introduction of graduated background illustrations. “The puppy is Andrex’s key brand endorser. The existing packaging does not reflect that enough,” Clarke adds. 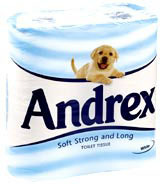 According to Brown KSDP associate director Don Landers, it had to tread carefully with Andrex as consumers identify powerfully with the brand. Brown KSDP’s identity will be rolled out over the next few months across ten key European markets. These will include France, Belgium, Holland, Italy, Spain and the UK.